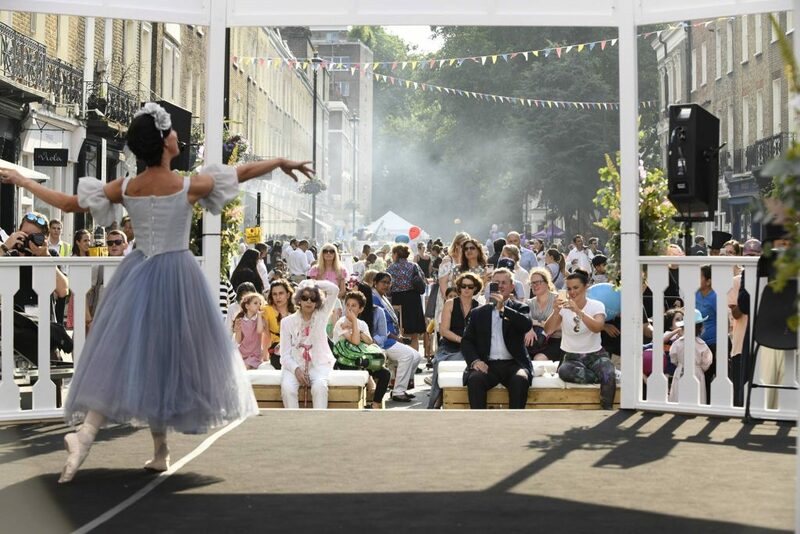 Once upon a time, one could take dancing lessons in Connaught Square and learn how to curtsey like a pro with one of the greatest ballerinas of all time. 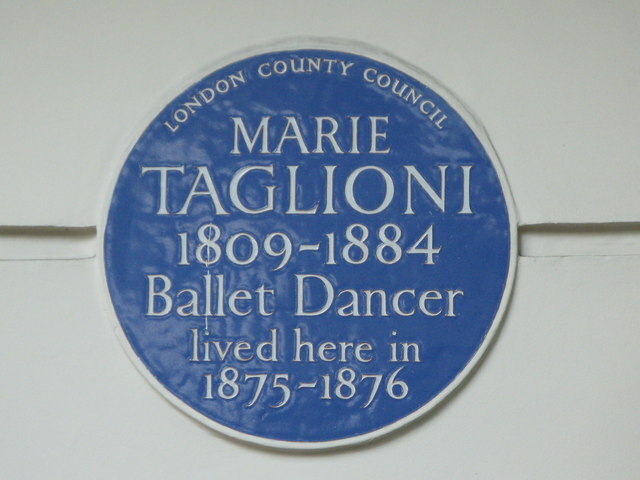 A blue plaque marks the Georgian Townhouse where Marie Taglioni, one of the most famous ballerinas of the nineteenth century and arguably one of the most influential of all time, lived in London late in her life. Taglioni was the first to make dancing on the tips of her toes, ‘en pointe’, essential to the performance rather than just an acrobatic stunt. The role of the ethereal, tragic sylph in La Sylphide was created for her by her ballet-master father to show her innovative skill off to best advantage. 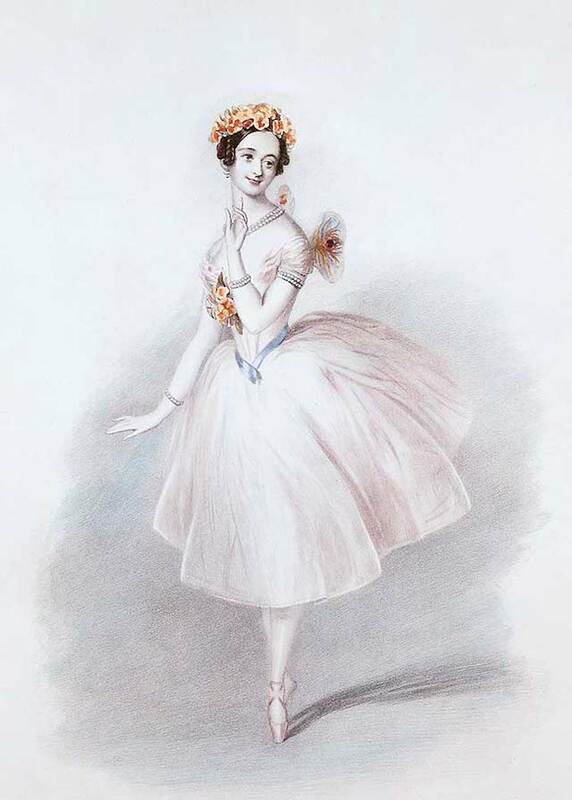 The image of a wistful Taglioni in this role, poised on tip toe in a white ballet dress, dark hair parted in the centre, became the defining image of the ballerina, one that persists today. Despite her fame and well-paid career, Taglioni’s fortunes declined and in the 1870s she moved to London. An advertisement in the Times on 28 May 1875 announced, “Madame Taglioni begs to inform her friends that she has resumed her professional engagements. Address to 14 Connaught Square, Hyde Park” (source: Times Digital Archive). This wonderful drawing by one of her pupils, Margaret Rolfe, granddaughter of Taglioni’s closest friend in London, gives unique and lively insight into what it was like to be taught by the great ballerina in Connaught Square — and suggests that little girls haven’t changed one bit with the passing of time. While it’s marvellous to have this ground-breaking ballerina remembered with a plaque, it should be noted it understates her age by 5 years. She was actually born in 1804. Madame Taglioni died on 24 April 1884 while staying with her son in Marseilles. Recreation at Hyde Park Estates’ 150th Anniversary Street Party in 2018.